image-in-ing: Elvis sighting in Israel! Cool. Elvis will live forever. Nice pictures from a country I have not yet travelled. Thanks for sharing them with us. Oh my goodness....I've seen it all now! Elvis is everywhere! Wow ! That's really amazing !! How neat is that!!! 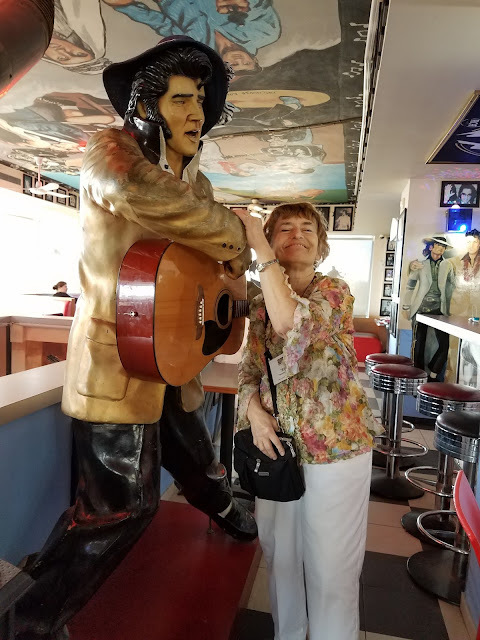 My hubby was just talking about Elvis over the weekend....about the rumors that he isn't dead and will be making an appearance! ;-) Thanks so much for letting me link-up my humble little picture today. HOPE you have an awesome weekend. 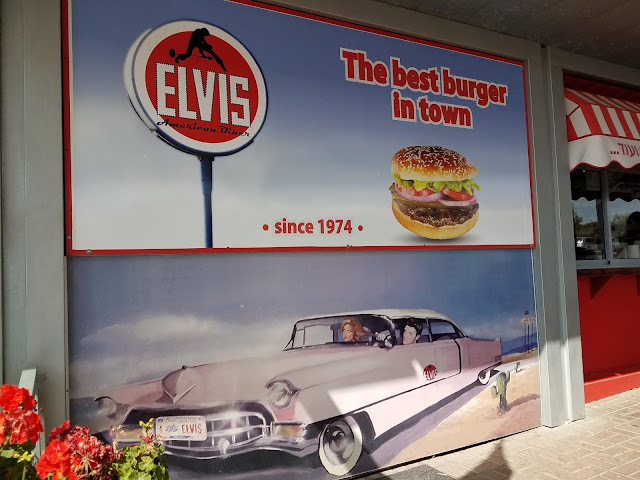 Elvis and burgers. Feels like home! Now who would have thought you'd find Elvis there...never say never eh? Wow! I just say Wow! 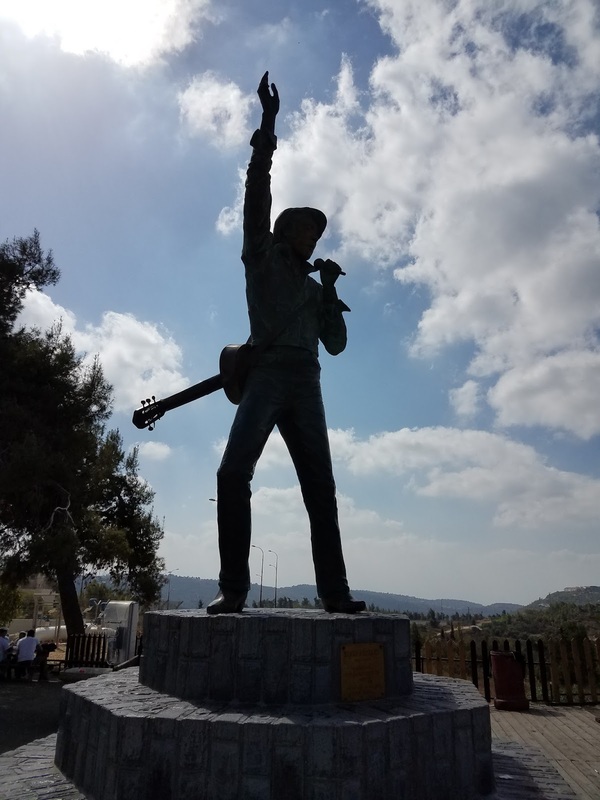 Elvis made an impact around the world! Cute photo of you with his statue! What an amazing post you're sharing, sweet friend ! Wow! Elvis really is everywhere...lol! wow - who would have thought? - amazing. Happy travels and thank you again for the link up. That is super cool. I love it very much. Wow, he is everywhere. Nice. Great place! We love taking our visitors to see it! (You were really not far away from where I live!). Elvis has gone all over the places! Now that is a riot! That Elvis gets everywhere Sue. But not to Pilling yet - a village close to where I live. I love seeing Elvis living on in other parts of the world!! Such fun photos! Thanks for hosting! Thanks so much for the invite! Great party and I will try to link up every week. 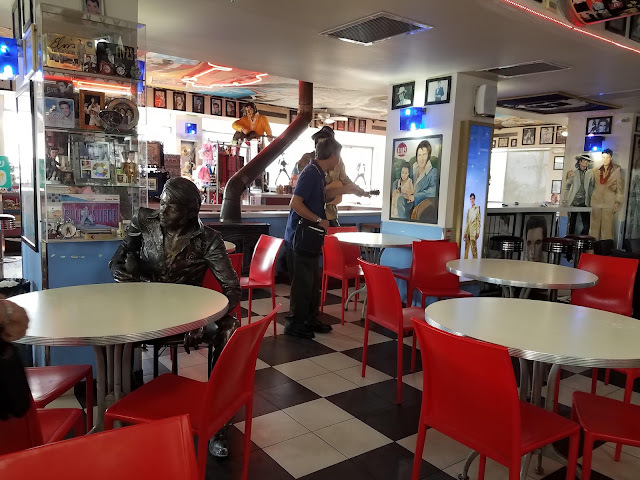 What a cool place - very retro!! : ) Have a great week! We all love Elvis! Thank you for hosting. Look at that! Elvis serenading all of us ... Great photo indeed..
Wow! I've seen Elvis statues in diners but I've never seen one dedicated to him like that. That's funny ! 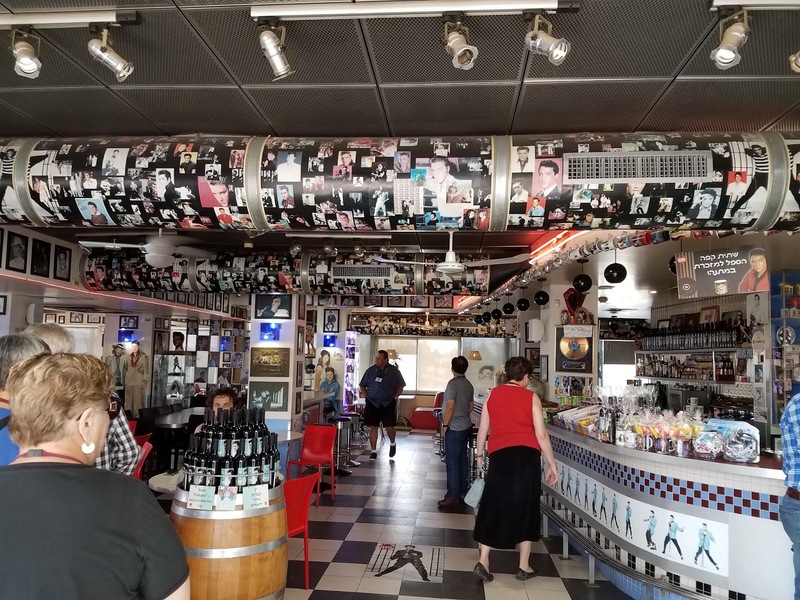 It looks exactly like the Elvis Hard Rock café in Chicago, lol ! Legends in music are worshiped everywhere. Social media is a great communicating medium. What a great place to run into Elvis, wow, great photos for sharing! say hi to Elvis from me please..how fun! I knew that Elvis was alive and well somewhere in the world! I saw Elvis in Las Vegas in 2006 but you'd expect 'him' to appear there!! I love the wordless Wednesday blog concept. I just found you via the rabbit hole link up. 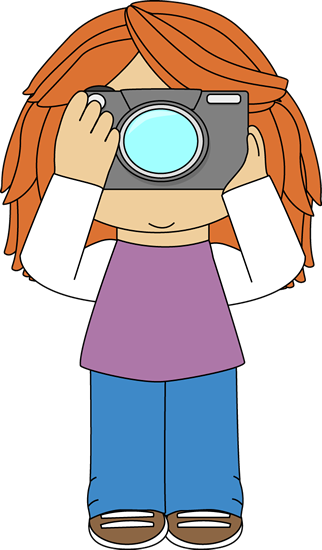 Definitely thinking of ideas to make pictures the front runner in some blogs. Cool Elvis sighting! Thanks for taking part in the "My Sunday Best" meme!